The Pride of ownership shows in this meticulously maintained one owner Hacienda Single level home. This home has a South facing lot on THE DUKE golf course. You can view the 8th Green from your back yard. The home comes with a self cleaning Heated POOL and SPA! Split floor plan, 4 bedrooms PLUS an office, 2.5 baths and formal living room. Open kitchen with 42'' raised panel cabinets, tile counter tops, GAS range and can lighting. This home ALSO features High ceilings, Window SHUTTERS throughout, tile flooring, soft water system, and garage cabinets. 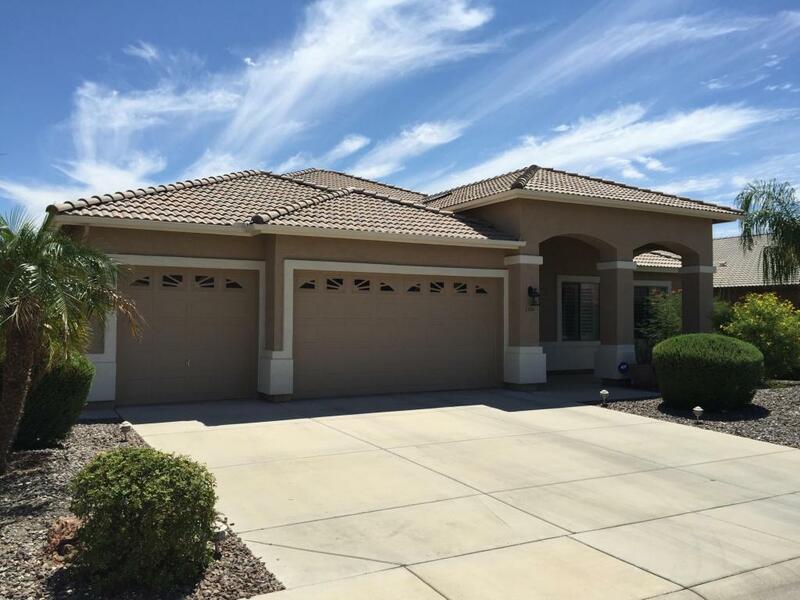 This is a great Single level Hacienda golf course home. The owners had the Outside of the home painted and the front walk epoxied within the last 6 months. There is a walk through video under the photo's tab. Warranty info under doc's tab.